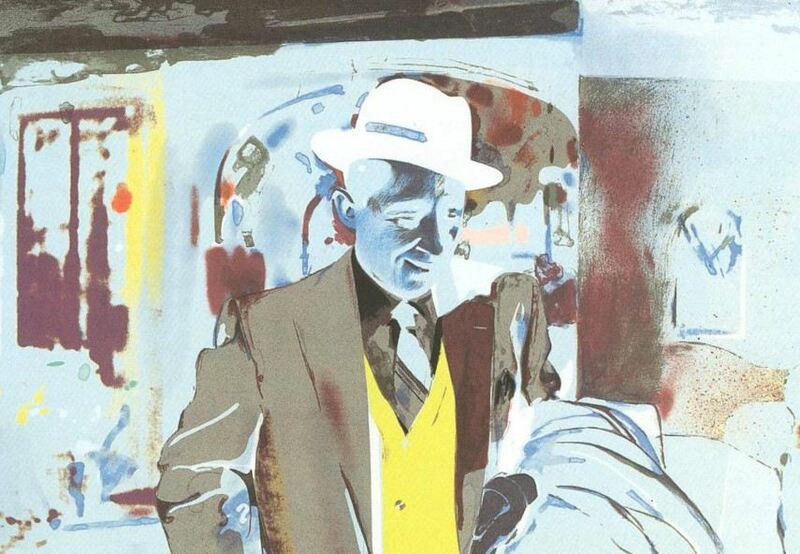 Famous for his celebrated collages which set the stage for the last great movement in art history, Richard Hamilton was an English painter artist known as one of the earliest proponents of Pop art. Through his iconic pieces, this artist explored the relationship between fine art, product design and popular culture despite the obvious differences separating the three worlds. By doing so, Hamilton was able to set the aims and ideals for a future movement we now call Pop art – as a matter of fact, it was a lollipop from one of his early works that furnished the movement with its iconic title. Ultimately, Richard ‘s name may not have the same ring nor bang as Andy Warhol, but Hamilton was the one who laid down the groundwork for Pop art. 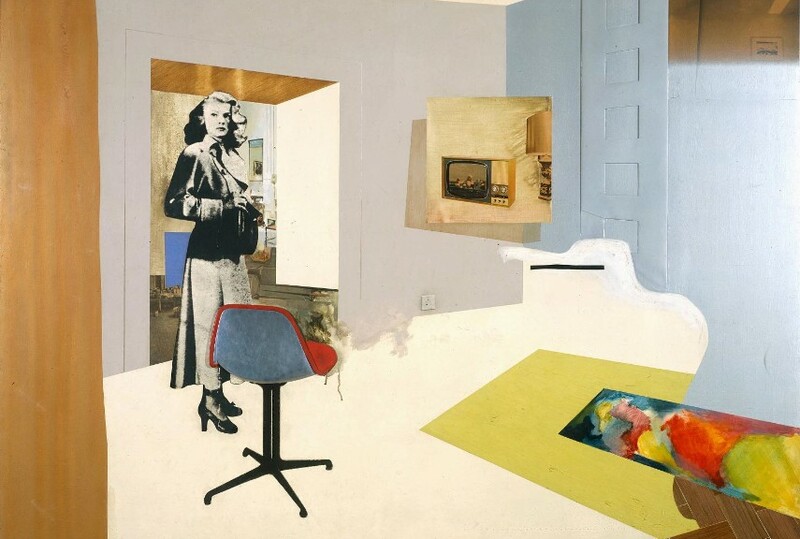 Richard Hamilton was born in Pimlico, a small area within central London in the City of Westminster. Despite the fact he left school with no formal qualifications under his belt, the young artist managed to find an employment opportunity rather swiftly. Hamilton started working as an apprentice at an electrical components firm. Here, Richard discovered a surprising ability for draughtsmanship and it was this revelation that led him to start painting at evening classes at Saint Martin’s School of Art. Eventually, Hamilton believed he found his true calling and started attending classes at the Royal Academy Schools. His development was put on hold as the World War II broke out. After the war came to a halt, Richard re-enrolled at the Royal Academy. However, he got expelled on grounds of not profiting from the instruction – troubled but not dishearted, Hamilton went to Slade School of Art in London. It was at this university that the young painter found his first success as Richard was finally given an opportunity to exhibit his work. His first show was held at the Institute of Contemporary Arts where Hamilton presented his posters and leaflets. The years of the 50s were crucial to Hamilton’s career as a painter. It was during this time that the young artist was able to expand his skill set and the overall understanding of art. Richard also started to work within the collage medium. The London university experience gave him an opportunity to study the art of Marcel Duchamp, which also had a massive impact on Richard’s early art. In 1956, Hamilton created his arguably greatest piece ever. It was titled with a long name Just what is it that makes today’s homes so different, so appealing? and it was originally produced for the catalog of This Is Tomorrow. The brilliant collage depicts a muscle-man provocatively holding a Tootsie Pop and a woman with bare breasts wearing a lampshade hat, surrounded by various emblems of 1950s affluence,such as a vacuum cleaner to a large canned ham. Just what is it that makes today’s homes so different, so appealing? is widely acknowledged as the first genuine piece of Pop Art and it defined the ground for the whole international movement. The success of This Is Tomorrow project ultimately secured Hamilton’s teaching assignments, crowned with a job position at the Royal College of Art. Here, Richard promoted David Hockney‘s and Peter Blake‘s early careers as well. In 1962 his first wife Terry was killed in a car accident and Richard traveled to the United States for a retrospective of the works of Marcel Duchamp at Pasadena Museum as a way to get back on his feet emotionally. Here he befriended many colleagues, including the legendary avant-garde artist himself. 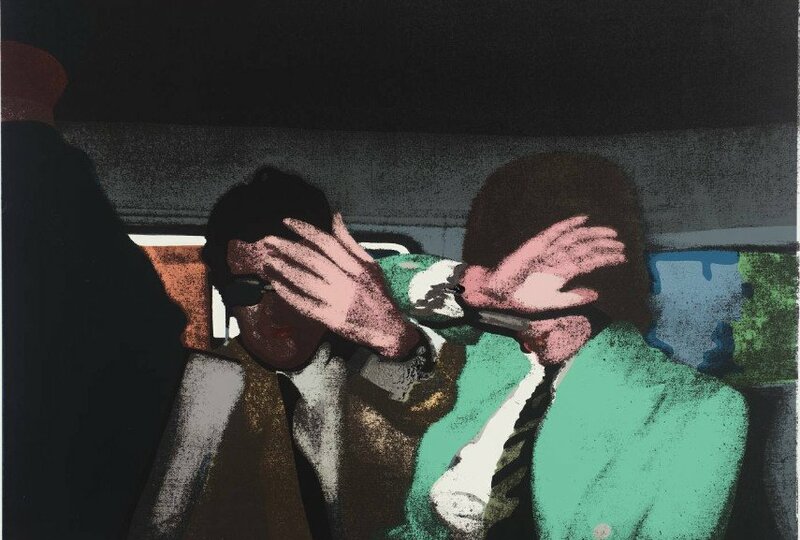 During the 1970s, Richard Hamilton enjoyed international recognition with a number of major exhibitions of his work being arranged, praising him as the father of UK’s Pop art. Over time, Hamilton had found a new companion in painter Rita Donagh. Together they organized numerous projects as Richard was starting to let the course of Pop art be dictated by other artists such as Warhol. He did manage to blur the lines between artwork and product design, making sure that his legacy will forever be intact. Starting with the late 1970s and the following decades of his life, Hamilton’s activity was concentrated largely on investigations of printmaking processes, often in unusual and complex combinations with his earlier techniques. He also worked on quite a large number of politically fueled pieces. 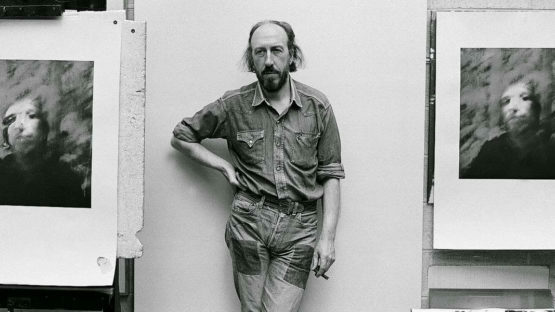 Richard Hamilton died on the 13th of September during the year of 2011, at the age of 89. Luckily, the large exhibition number did not slow down with the end of his life – Hamilton’s work was the topic of numerous British museum and gallery institutions, especially in London where a retrospective show of Richard’s works was and still is a common occurrence. This probably comes as no surprise, but speaking about Hamilton’s artistic legacy may prove to be an extremely prolongated discussion. He set the stage for the birth of England’ Pop art scene. His examination of popular media is one of the greatest takes on the topic 20th century has to offer. He also enjoyed some of the greatest acceptance by both the public and the art circles ever seen. The list of Richards achievements can go on for quite a while. Shorty put, Hamilton should be praised for developing his relationship between fine art, product design and popular culture, setting up such a fine triangle of opposite worlds and bringing them together despite their differences. Ultimately, Richard broke down the hierarchies of artistic value and by doing so, cemented his name as one of the most important individuals of modern art history. This artist is represented by Gagosian Park & 75 New York, Gagosian West 24th Street New York, Gagosian Beverly Hills, Gagosian Britannia Street London and Gagosian West 21st Street New York.